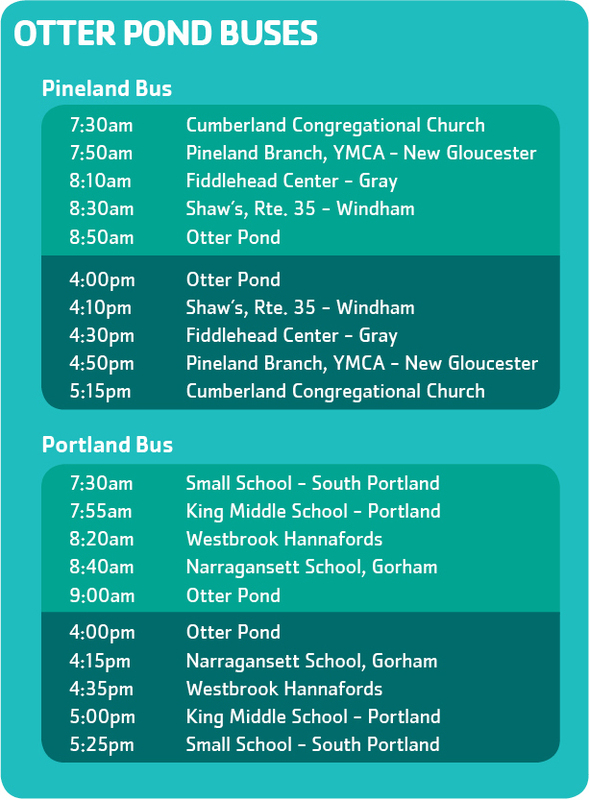 Bus transportation to and from Otter Pond Camp is available from select stops in Portland, South Portland, Westbrook, Gorham, Windham, Cumberland, Gray, and New Gloucester. 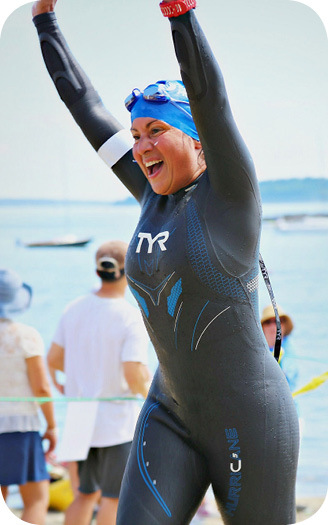 Sign up online as part of our online registration process. The bus schedule is subject to change. It will be evaluated and updated once the camp session starts. Bus stops and schedule may change due to a change in traffic patterns or low usage. Any changes will be communicated in advance. The time listed is the time the bus will ARRIVE at that stop. The bus will remain at the stop for 5 minutes before leaving. In the afternoon, Staff will remain at Cumberland Congregational Church and Small School until 5:30pm, by which point children must be picked up. All children must be accompanied to and picked up from the bus stop.